It isn’t always obvious what to expect from an audiologist appointment, so we’ve enlisted Laura Turton, Specialist Adult Audiologist & Operations Manager for the British Society of Audiology, and she’s helped us answer some important questions for you. What can I expect from the appointment? In your initial appointment the main focus will be around assessing your hearing and the impact your hearing loss is having on your life. The audiologist should ask you some medical questions about your ears, explore what expectations you have for the appointment and find out where your hearing loss is mainly affecting you and how that makes you feel. A fundamental part of this assessment is having your ears examined and undertaking a hearing test (where the audiologist will find the quietest sounds you can hear across tones of differing pitches). 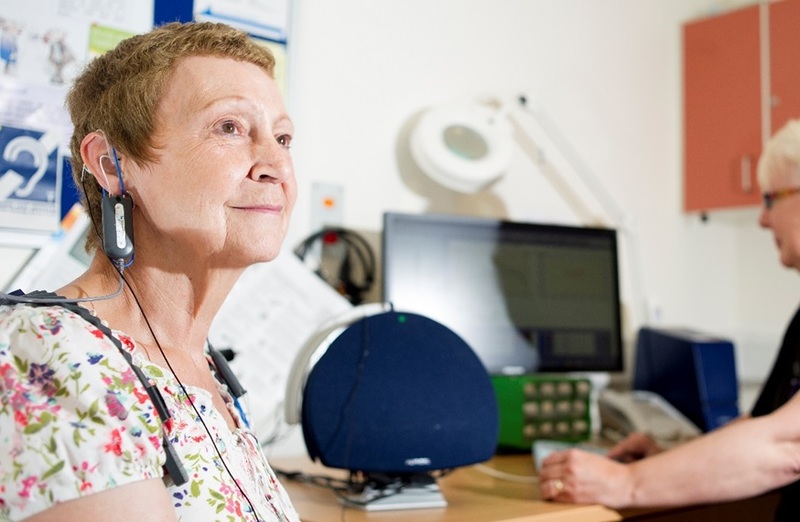 This appointment is your opportunity to discuss honestly and openly what bearing your hearing is having and you should be presented with a range of options you can take to manage your hearing loss further. Take the time before the appointment to think about places where you have noticed your hearing has changed. If you are suitable you will be offered one or two hearing aids, which will probably be fitted at a future appointment. At the hearing aid fitting appointment you may not see the same audiologist again, but your previous audiologist should have recorded your comments extensively from the assessment. The person seeing you should recap on these at the beginning of the appointment. Then they will typically undertake some tests (some of which you will need to actively participate in and others you won’t) to make sure your hearing aids are giving you an appropriate amount of sound during your appointment. During your appointment the audiologist should talk to you about different options within the hearing aid, such as whether you would like to have the hearing aid set to be fully automatic, or where you can have control over the volume, and the variety of programs available for different situations. This is the moment in the appointment where you need to consider if you want to try a loop system in the future. If the audiologist does not activate part of the hearing aid called the telecoil at this point, you will not be able to use a loop system or take advantage of its benefits. Before this appointment keep an eye out for the loop logo in places that you work, socialise and visit. If you have seen one then ask for the telecoil to be activated, you have nothing to lose by having this done, even if you choose not to use it. After your hearing aids have been set up, the audiologist will show you how to use them and look after them. You should then be booked either a face to face or telephone follow up to check on your progress. The assessment should be between 45-60 minutes. The hearing aid fitting should be around 60 minutes and the follow up should be between 15 minutes on the phone and 30 minutes face to face. Bring any reading glasses so you are able to see the detail on the hearing aids as they are being demonstrated and for your first appointment take a list of any medication you are on. What will the audiologist ask me? Think of your appointments as a two-way conversation about any problems you have noticed about your hearing. The audiologist needs to understand any medical issues you have with your ears (such as infections, tinnitus – noises in your ears or head and dizziness), plus any wider medical conditions you have. This is important as sometimes they need to refer you to a medical consultant to investigate these further. However, the most fundamental part of the appointment is for the audiologist to get a better understanding about your hearing loss, what impact it is having and what you would like to do about it. What type of hearing aids will the audiologist recommend me? This is a hard question to answer as it depends on many different factors. The first is where you are being assessed. Within the NHS each department will chose a number of hearing aid manufacturers to fit, which will be different across different regions of the UK. Private providers have different hearing aids available to those on the NHS. Both the NHS and private dispensers have a range of styles available to them (although for the widest selection you may need to be seen by a private provider). The most appropriate one will be offered to you based on the choice available, the severity of your hearing loss and factors such as your dexterity and eyesight. If the loop system is an important feature to you it would be worth expressing this in your assessment to ensure your hearing aid has a telecoil located inside of it. Always think about questions that are personal to you, whether these are about how to use the hearing aid, when you should try the hearing aids, what you can expect in different situations and always express any worries or questions you have. If your audiologist advises you in some way that you don’t understand then please ask for clarification, as we are working to support you and want you to feel like you can ask us anything. The take home message is that you have nothing to lose by having the telecoil activated on your hearing aids and it can open up opportunities to use loop systems either with additional personal devices for your home, on the phone or in public buildings which can give you the extra support you need in these situations. Ask your audiologist about this option at your next appointment. Laura has worked for the last 16 years in a variety of roles across the NHS and the voluntary sector. 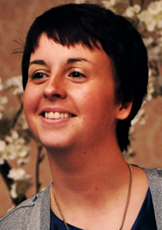 Her clinical work focuses on adults who have acquired their hearing loss later in life and is passionate about connecting people to all types of organisations who can support all of their needs in addition to the support Audiology can provide, in particular, any information and support that can lead to people feeling more confident in managing their own hearing loss and taking control. Laura currently splits her time between seeing patients, supporting quality standards in Audiology and managing the strategic and operational work of the British Society of Audiology.